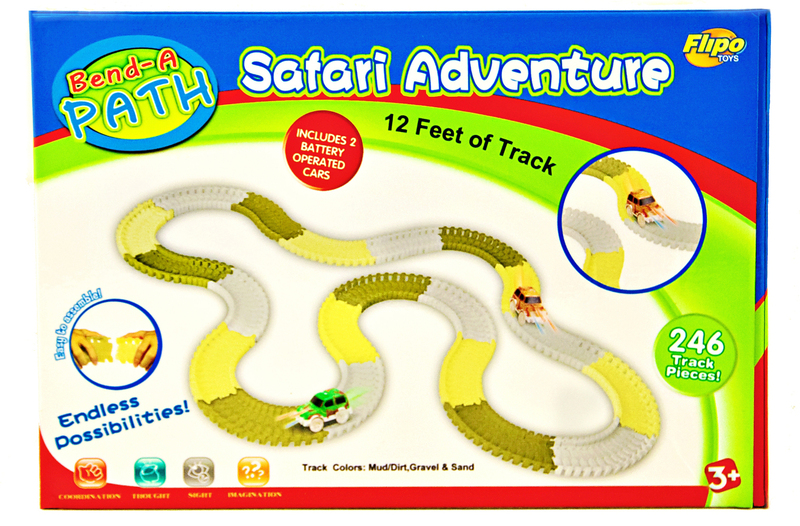 The amazing Safari Bend a Path - Create a Road Car and Play Set from Flipo features 12 feet of colored track sections that are super easy for small hands to connect. 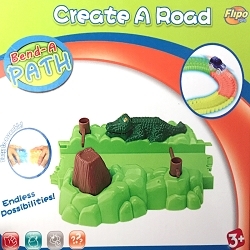 The track is bendable and flexible so the path can be easily moved and reshaped, even while the cars are running on it. 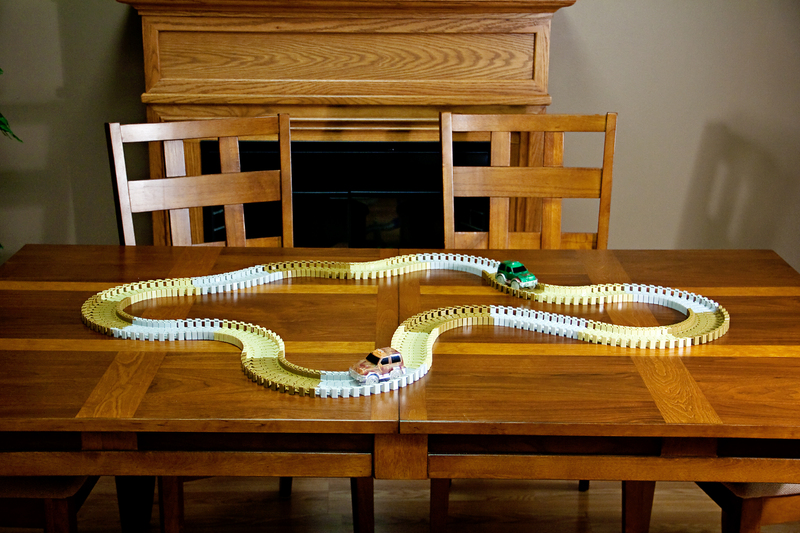 Let your children's imaginations run wild as there are no limits in the track shape. 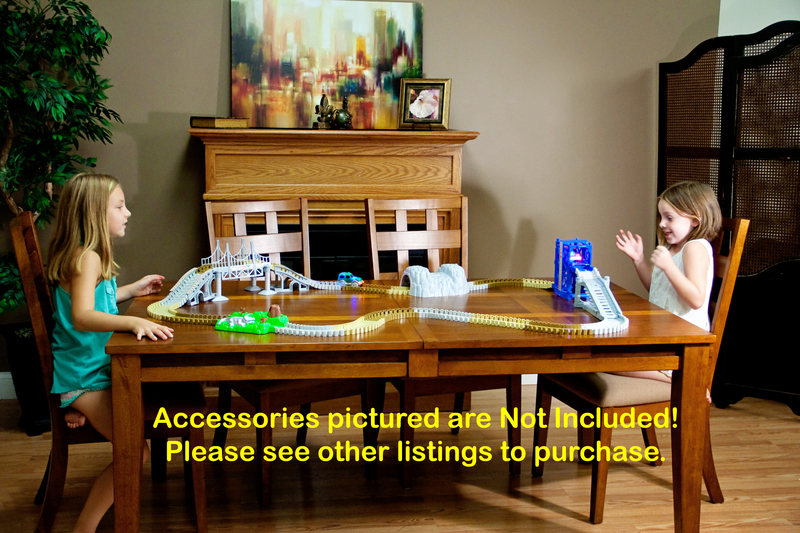 Create even more excitement by placing small objects like blocks or pillows under the track. 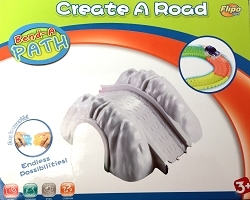 The Bend a Path set includes 12 feet of track and 2 self propelled light up cars. 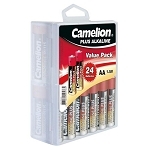 Each car is powered by 2 Alkaline AA Batteries (not included). Create twists and turns with the track with ease. 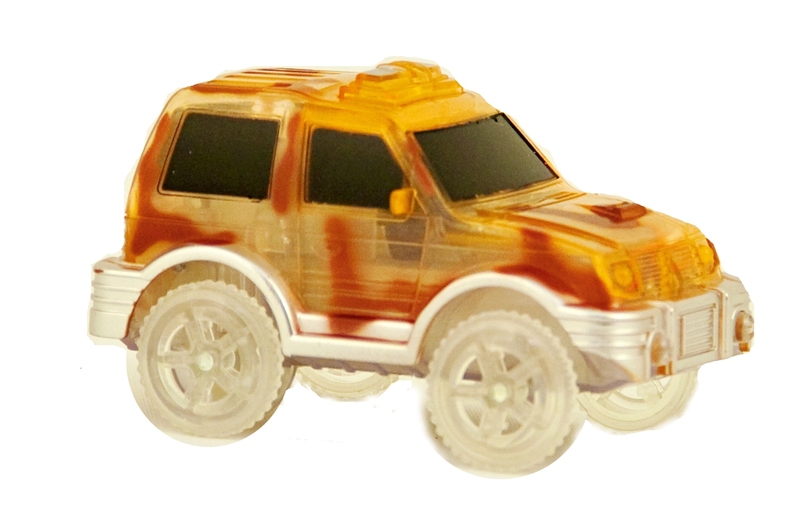 This is an awesome toy for boys and girls that provides hours of fun. Combine as many sets as you like for an even more fun. 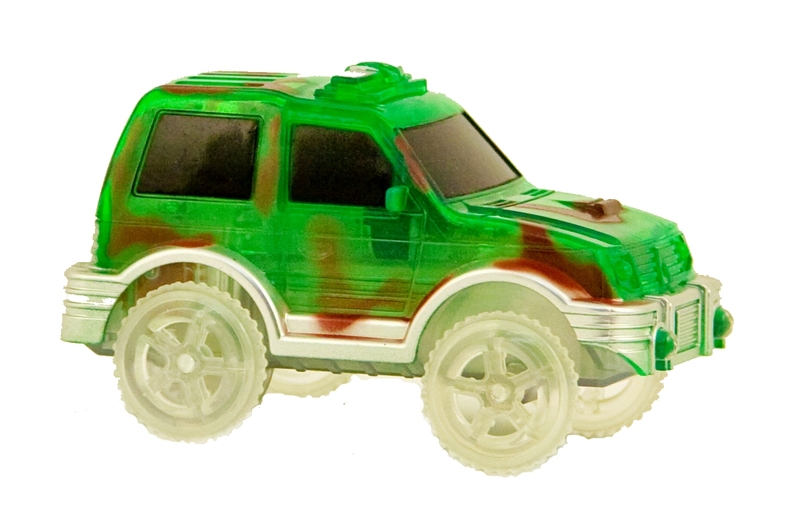 The SUV's are transparent Dark Green and Light Brown colors w/ 5 LED's. 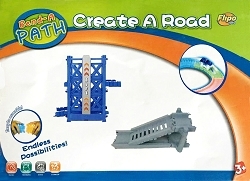 Attachable and Detachable Track Sections Come in track colors: Mud (dark brown), Rock (gray) and Sand (light brown). Copyright Flipo Group, LTD. All Rights Reserved..